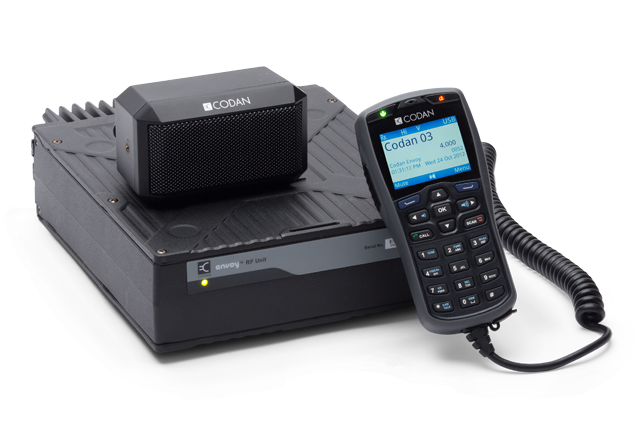 Codan’s Envoy HF Radio delivers dependable, clear, trouble free voice, instant messaging and data communications, without dependence on existing infrastructure. Now with Codan’s second-generation Digital Voice technology, Envoy provides outstanding voice clarity in conditions where competing HF radios fail to deliver. Envoy can now be upgraded with advanced 3G ALE providing faster linking and more flexible data capabilities than with existing 2G solutions. When coupled with Codan’s easy to use Sprint data applications, 3G ALE enabled Envoy networks can support secure peer-to-peer email, file transfer, and chat data, communications and email and phone SMS gateway services. The Codan Virtual Control Point allows you to operate a Codan Envoy HF radio via any Windows 7, 8 and 10 powered computer, and providing greater convenience for users who would like to operate their Envoy radio from a PC. Codan Xtend allows you to operate a Codan Envoy HF radio via your Android smartphone or tablet, providing greater mobility and convenience, with the familiarity of a smartphone interface. With digital voice, software upgradability, IP capability, multi-language support and an embedded software modem — the Codan Envoy sets a new standard for HF radio. View our video demonstration of Codan Envoy's Long Range Digital Radio™ capability to deliver reliable and secure communications. The Envoy secure interoperability feature enables you to configure the radio to automatically select the correct secure attributes when operating within networks that have disparate voice and/or data secure states. The Envoy allows for a range of language options, including; English, Spanish, Russian, Chinese, French, Arabic, Dari, Farsi, Pashto and Portuguese. Envoy’s high-resolution colour display with an intuitive icon-based menu makes using your HF radio as easy as navigating your smart phone. The handset features a backlit keyset, a one-touch emergency button and can be easily updated to a different language. The Envoy makes using your HF radio easier than ever.